Since I was baptized and returned to the Lord in 1993, the pastor had often told us that as long as we believed in the Lord Jesus, the Lord would give us His righteousness without asking for anything in return, and that we would be raptured into the kingdom of heaven when He came again. After that I had been expecting the Lord to come to rapture us soon. Later, I read these words in the Bible, “And from the days of John the Baptist until now the kingdom of heaven suffers violence, and the violent take it by force” (Matthew 11:12). Then I pondered: How should I make efforts? Should I not take some practical action? For the sake of having a better chance to enter the heavenly kingdom, I must expend myself and work for the Lord based on acknowledging in my mouth and believing in Him in my heart. Several years later, by the Lord’s grace, I was chosen to be a worker of the church. From that point onward, my sacrifices for the Lord had greatly increased in strength. Whichever meeting place needed to be supported I would get there immediately; whatever difficulty my brothers and sisters had, I would go give them support amid rains and storms, heat and cold, and sometimes I even put aside my own household affairs to help them. Every time I heard them praise my loyalty to the Lord, I was especially happy. I thought: Since I can win the admiration of my brothers and sisters, I must also be approved by the Lord. Because of my active labor and sacrifice for the Lord, I was especially blessed by Him—My son’s study, work, and marriage all were very satisfactory. This made me even more see that toiling for the Lord was not in vain. However, the only thing that troubled me was that though I had believed in the Lord and known that the Lord requested us to love others as ourselves, when my husband had a disagreement with me, I could still quarrel with him and even resent him in my heart. The Bible said, “Whoever hates his brother is a murderer: and you know that no murderer has eternal life abiding in him” (1 John 3:15). I knew that my behaviors were not approved by the Lord, so I confessed my sins to Him every night. Yet when we encountered something afterward, we would still get into arguments. For this, I felt quite helpless and had no idea how I could practice the Lord’s teachings. One time when studying the Bible, I read the following words of the Lord, “Not every one that said to me, Lord, Lord, shall enter into the kingdom of heaven; but he that does the will of my Father which is in heaven” (Matthew 7:21). Then a question came into my mind: “The Lord said that only by doing the will of the heavenly Father can we enter the kingdom of heaven. That is to say, merely saying words of acknowledgment and believing in the Lord in our hearts doesn’t qualify us to enter the heavenly kingdom. Then what is doing the will of the heavenly Father?” Later, I sought from my co-workers on this issue, but their opinions were different. Since I found no answer, I thought of a compromise—working and spending to atone for my sins. Thereby, I attended the small group meetings more often and never missed a duty that I should fulfill. In a blink, over twenty years passed by, and I had kept expending myself like this all along. Although I still committed sins, and couldn’t obey the way of the Lord, I believed that as long as I put all my efforts in working for the Lord, He would surely commemorate my good deeds and that when He came, I definitely could be brought into the kingdom of heaven. At this moment, Brother Wu read me several verses of scripture, “And she shall bring forth a son, and you shall call his name JESUS: for he shall save his people from their sins” (Matthew 1:21). “But that you may know that the Son of man has power on earth to forgive sins” (Luke 5:24). “Thus it is written, and thus it behooved Christ to suffer, and to rise from the dead the third day: And that repentance and remission of sins should be preached in his name among all nations, beginning at Jerusalem” (Luke 24:46-47). “Do you know why this is?” asked Brother Wu. “Even the co-workers and pastors of my church don’t know the reason, not to speak of me,” I replied to him. At this point I was shocked: “It turns out that what they are spreading is Eastern Lightning. 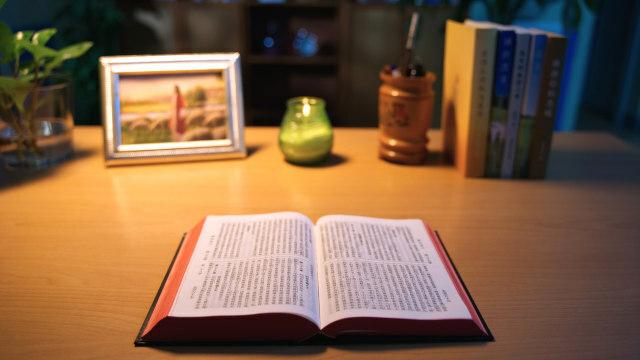 How can Eastern Lighting be the second coming of the Lord?” Then I thought of the negative propaganda about Eastern Lightning from the Chinese Communist Party and the religious world. 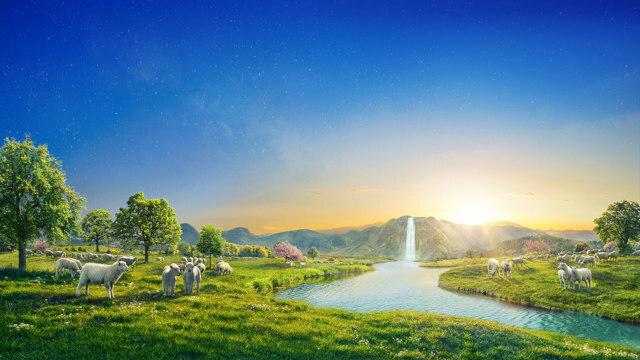 For a moment, I couldn’t accept it, nor dared I believe that God had come and that He was Eastern Lightning condemned by the Chinese Communist Party. “All Brother Wu fellowshiped is in accordance with the truth and I have nothing to refute,” I replied. After dinner, my daughter-in-law and her parents were listening to the sermon, and I also had a listen. In listening, I suddenly heard: No matter how ardently you pursued or how much you have spent and worked for God in the past, as long as you don’t accept God’s work in the last days and have no change in your disposition, you will never be able to enter the kingdom of heaven. Hearing this, I became anxious: “What? I’ll never be able to enter the kingdom of heaven if I don’t accept this stage of work? I have spent for the Lord for decades; will this be in vain?” I resisted it so much that I couldn’t listen to a word anymore. That night, I tossed and turned in bed and was unable to fall asleep. I continuously thought: “Over these years, I have been spending and working for the Lord with all my heart. Could my efforts be futile? There are so many people who toil tirelessly and sacrifice for the Lord. Will their spending all be in vain, too?” No matter what, I just couldn’t accept this kind of statement. Brother Wu said, “Sister, we human beings have no say in which people are able to enter the kingdom of heaven. About this let’s look at the Lord Jesus’ words.” So saying, he opened the Bible and read, “Not every one that said to me, Lord, Lord, shall enter into the kingdom of heaven; but he that does the will of my Father which is in heaven. Many will say to me in that day, Lord, Lord, have we not prophesied in your name? and in your name have cast out devils? and in your name done many wonderful works? And then will I profess to them, I never knew you: depart from me, you that work iniquity” (Matthew 7:21-23). At the same time as listening to Brother Wu’s fellowship, I reflected on my intention of expending for the Lord. That was when I discovered that I supported the church and helped my brothers and sisters actually all in order to be accepted by God. Especially when I obtained God’s blessings, I even more thought that working for God wouldn’t be in vain. I believed that I had done so much work, so I was surely one of those whom the Lord loved most, and that it was no doubt that I could enter into the kingdom of heaven. Today, I realized that over so many years of hard work, I had been conducting a transaction with God and taking advantage of God to exchange for the blessings of the heavenly kingdom. After that, I prayed to the Lord every day, and finally I was permitted to renew my visa for another three months. I silently gave thanks to God. Later, I began to attend meetings, and ordinarily I read God’s words carefully. Every time I read God’s words, I could gain much enlightenment, which slaked the thirst of my parched spirit. What’s more, Almighty God’s words turned around a lot of my wrong notions. Gradually my heart opened. The sister’s fellowship let me see that the truths expressed by Almighty God are too abundant. Not only have they resolved many of my conceptions, but they also made me know my own corruptions and God’s disposition, and pointed out the path to changes to disposition for me. Besides, God’s work of salvation in the last days is very practical. As long as we act according to God’s words, we can cast away our corrupt dispositions bit by bit to achieve purification. In the end, we can become the people who submit to God and obey His will, and be saved to enter God’s kingdom. Thinking of this, I felt very moved in my heart. I realized that my nature was too arrogant and too disobedient, so that I refused to seek and investigate God’s work for blindly believing the negative propaganda of Chinese Communist Party and the religious circles, and nearly missed God’s salvation of the last days. Thank Almighty God for overlooking my foolishness and ignorance, guiding me to come to Japan from China and trying His utmost to save me. Now I have accepted Almighty God’s work of the last days for nearly three months. I feel that during this short three months, I have gained more than I did in my over twenty years’ faith in the Lord. God has revealed all the mysteries of the kingdom of heaven, so I have been completely certain that Almighty God is the returned Lord Jesus whom I have been desperately waiting for. He is the Almighty who opened up the scroll and is the only true God who leads me to enter the kingdom of heaven. Thank Almighty God for letting me hear His voice in a foreign land and catch up with the footsteps of the Lamb. I have found the path to enter the kingdom of heaven and have the opportunity to realize my dream of the heavenly kingdom. Thanks be to Almighty God! By Li Yun Chen Zhong began to believe in the Lord when he was a child. When attending meetings, he often heard pastors say: “‘I have fought a good fight, I have finished my course, I have kept the faith: From now on there is laid up for me a..